Ornihology is a collection of images of birds in their many facets, categorically arranged by chapter. The book design is characterized by an excellent balance between variety and simplicity. Per chapter, layout and paper type chosen with love and attention. The soft, thin paper of the chapter flight, for example, flutters just as lightly as the images of flying birds that playfully about the pages are interspersed. The reader comes here without saying in the role of birdwatcher. In the historical introduction of the book, on the other hand, are birds in a static context presented on robust, granular paper. The differences are sometimes so subtle that they are not immediately visible, but always felt. The relationship between the chapters is achieved thanks to consistent choices grid and a letter and font size. It is the designer's uncompromising, allowing a controlled diversity. Because of the binding mode is there an excellent flatness achieved by means of the choice for cold glue and brillianta linen Cap. The book Ornithology by Anne Geen & Arjan de Nooy was in March 2017 voted one of the Best books of Netherlands, making it (along with six hundred other books from 32 countries) was nominated for the international jury of Schönste Bücher aus aller Welt. The book design by Jeremy Jack received the highest award of this prestigious contest, the Golden Letter. 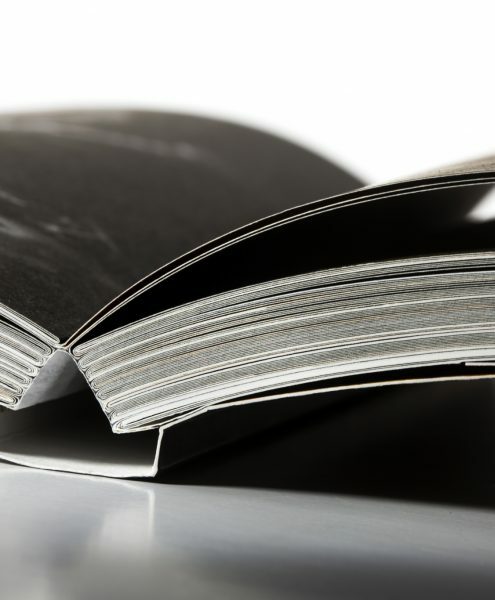 The book is bound with a mounted front and back cover, sewn with linen with a cold glued, with a diverted dust jacket.